In an era where much of the information and resources about social media is of the squishy “care about your customer and converse with them” variety, Dan Zarrella is an incredibly important counter-balance. Social media is online. That makes it measurable. And trackable. And testable. Through his excellent blog, his work at Hubspot, and now a fantastic new book, Dan applies math and science to social media. He’s studied literally millions of tweets and online viral events. Plus, his research into the oral tradition and the history of memetics makes him perhaps the only guy that can both reboot a server and dissect the virality of Beowulf. Dan was interviewed live on Twitter as part of the Twitter 20 twitter interview series on December 15, 2009. 1. @jaybaer: Your book – “The Social Media Marketing Book” is a “cookbook” for social Web. What do you mean? @danzarrella: It’s a hands-on, tactical guide book to social media marketing tactics and platforms for readers to pick from. 2. @jaybaer: Where does social media fit into the overall digital marketing ecosystem? @danzarrella: On one level, it’s a great tactic or tool to be employed alongside the rest, on another level it can be used as research to inform all other types of marketing. 3. @jaybaer: Is social media marketing different from social media? Are social CRM folks playing a different game than you are? 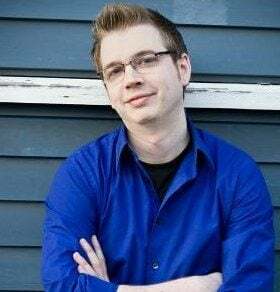 @danzarrella: I tend to take a pretty hollistic approach to social media marketing that includes customer service – happy customers are your best marketers. 4. @jaybaer: What are the key success metrics for social media marketing? @danzarrella: The bottom line is always the best metric, # of leads, sales or customers. Short of that I’m a big fan of measuring engagement, time on site, subscribers, followers, fans, etc. 5. @jaybaer: What’s the most overlooked aspect of creating content that gets links and viral attention? @danzarrella: Diction, linguistics and tactics beyond humor. 6. @jaybaer: How does real-time search impact social media marketing? @danzarrella: It strengthens the link between SEO and social media marketing, and makes crisis management in social media even more important. 7. @jaybaer: Are retweets the purest measure of social influence at this point? @danzarrella: They can be gamed. I like a combined metric of retweets and replies for Twitter influence measurement, but RTs are elegant. 8. @jaybaer: In a Twitter 20 interview, @mackcollier said he felt RTing was more valuable to authors than commenting on their blog. True? @danzarrella: I agree 110%. It’s commenting plus promotion. Though its hard to use for longer discussion/feedback. 9. @jaybaer: Quite a bit of debate out there on tweeting similar stuff multiple times. Does this tactic work? @danzarrella: All the data I’ve seen says it does work, but you have to weigh this against the idea that you may annoy a follower or two. But be careful to tweet different points from a blog post. If you’re tweeting a post multiple times, don’t duplicate tweets. 10. @jaybaer: You’ve also written that the more you tweet, the fewer clicks you’ll receive. Can you elaborate on that? @danzarrella: if you tweet lots of links in a short period of time, each link will have a lower clickthrough percentage. To maximize CTR, you should avoid “link fatigue” and space our your link tweets. If your followers see 100s of links fly through their timeline, they’re not likely to pay attention to any individual one. 11. @jaybaer: Do tweets with linked photos/videos get more or fewer clicks? @danzarrella: I’ve never done any research into that, but it is a very interesting idea. I’ll have to check it out. 12. @jaybaer: How much does reciprocity, being willing to promote others, impact your chances of social media and viral success? @danzarrella: In some platforms it helps more than others, but it’s never a bad idea. But you’ll want to build your brand on something more than back scratching. 13. @jaybaer: If you had to recommend that a client have a blog OR be active on Twitter, which would you suggest and why? It adds more substantial content to their site, helps with SEO and can be a hub for all sorts of other marketing activities. 14. @jaybaer: With content being open and searchable as a default, do you believe Facebook will become a Twitter-esque viral force? @danzarrella: I think they’re 2 totally different networks. Facebook is two-way “strong” connections, twitter is great for weak connections. Your favorite actor or basketball player isn’t going to friend you on Facebook but you can follow them on Twitter. Facebook isn’t great for “gate jumping” Twitter is a ninja gate jumper. 15. @jaybaer: In your Webinar you talked about social proof driving viral spread. What do you mean by that? @danzarrella: If I see that a lot of people (especially those I know or trust) like some person or content, I’m more likely to like it also. Things like subscriber counts, follower counts and the Tweetmeme button all add to social proof. Think of a line outside a restaurant, it makes you think that place is really good. 16. @jaybaer: Speaking of tweetmeme, is it better to give readers a bunch of options (a la ShareThis) or focus on Tweetmeme, Digg? @danzarrella: I do both 😉 A big tweetmeme button at the top of a post, and little “sexybookmarks” (great plugin) at the bottom. 17. @jaybaer: How does mobile and presence-based social media change virality and memes? Or does it? @danzarrella: I think over the next year, it will make real life important again: Foursquare, augmented reality, etc. The line between online and offline will blur even farther. 18. @jaybaer: People are always talking about “viral videos”. Is video more likely to be spread virally than text? @danzarrella: Video is a more encapsulated thing, so its less likely to change and mutate as it spreads, you just send a youtube link. Text gets rewritten, retweeted, re-blogged and mutated, so its spread is much different. 19. @jaybaer: What’s your summary, 140-character advice for making content more viral? @danzarrella: news > humor, nouns > verbs, add social proof, and speak directly to your audience. 20. @jaybaer: Seriously, you know & care more about zombies than probably anyone. WTF? 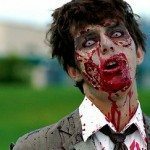 Are you an undead social media scientist? @danzarrella: Haha I am! Actually I’m an Undead Destruction Scientist. For instance, molotov cocktails = bad & swords are better than guns. @jaybaer: Okay that requires a follow-up @danzarrella Why are molotov cocktails no good for zombie killing? @danzarrella: Fighting flesh hungry undead is hard enough, fighting flaming undead is even harder, plus they can burn your building down. What was your favorite? Also, please give me your suggestions for Twitter 20 interviews in 2010.